Angessa's Pearl is the only inhabited world in the Exalt's Light system, a member of the Almach Association, and a major population center. Colonized just before the beginning of the Contact War by a pseudo-religious movement lead by Angessa Martei, the people of Angessa's Pearl practice extreme asceticism and rigorous self-improvement in hopes of transcending their natural limitations. The practice is viewed with mistrust and trepidation outside of the Almach Rim system, but has been spreading in influence for the last several decades. The colony prides itself on self-sufficiency, but is friendly to pilgrims and visitors. Angessa's Pearl was one of the first systems to secede from SolGov to form the Association and together with Vounna drives its more hawkish policies. Angessa's Pearl is composed of smooth white cliffs and plateaus, etched into place when the planet was still tectonically active. The cliffs clash together irregularly, and the gaps between them are shaded from the harsh light of the sun. In these spaces, the colonists build their cities. The few lowland regions are mostly low plains with stagnant basins of water. There is evidence that, earlier in its history, Angessa's Pearl contained much more water than it does presently. Much of Angessa's Pearl lives in sealed-off warren habitats drilled into the face of the cliffs, adjacent settlements connected by flexible tubing strung between the canyons. However, as star-contemplation factors majorly into the practices of the colony, every habitat has some public areas anchored between canyon walls, allowing one to gaze upon the strange and alien constellations and be inspired by their light. The colonies themselves are very high-tech, drawing air and food from the very atmosphere using efficient solar generation. Scientific installations and high-population habitats use imported supermatter crystals to augment their power supply, but the habitats are self-sufficient for basic necessities. There is some allegation that the advanced life-support technology used by Angessa's Pearl was stolen from NanoTrasen or other TSCs, but the colonial government maintains that the designs were purchased legally from Shelf. Angessa Martei's philosophy attracted adherent from all species, and the Pearl contains roughly even levels of humans, positronics, Skrell, and Tajarans. Most humans are descended from nearby midworlds, including Vir, while the makeup of other species is more varied. Unathi are a comparative minority, since Moghes is on the other side of Sol from the Pearl and the Sol-Moghes border was closed during the colonization, but there is a small number of Unbound rounding out their numbers. Population hovers around 500,000 people. A significant portion of Pearl's population are Vatborn referred to as "community children". As the name suggests, community children are raised collectively, with a child to adult ratio of between 5:1 and 20:1 depending on exact demographics. The production on industrial scales of community children plays a role in Pearl's unusually high population and its close-knit sociology, although complaints of abuse in the nurseries and schools set aside from the community children are common. Angessa's Pearl also contains a large number of free A-class drones, which were not recognized as people prior to the Gray Hour seccession, but are now considered equal citizens with an equal capacity to pursue enlightenment. Angessa's Pearl imports as little as possible and exports little of note. True to their philosophy, they dedicate their domestic production to expanding their industry and population, reserving little for luxuries. While this chafes the younger generation of Angessians, it has lead to their wild growth over the course of only a few years. Angessa's Pearl is a theocracy, lead by a unitary figure called the Exalt. Prior to Martei's return to power, the Exalts of Angessa's Pearl claimed descent of authority from her, with each Exalt choosing a successor upon their ascension. Other governmental positions are created and erased essentially by fiat. The Exalt is, at least nominally, the most dedicated follower of Angessa's path of self-improvement, and tends to be comparatively well-regarded by the community. Angessa herself is the present Exalt, wielding the reigns of state with unnatural skill and youthful vigour born of a number of self-improvement surgeries. There is some concern that the Exalt's direct control over the machinery of state and the legions of drones that allow Angessian society to function leaves the common people with no choice but to prove their worth or starve to death. Angessa Martei's standard response is, "so does capitalism.". The Starlit Path of Angessa Martei (also sometimes called the Spiral Path, Angessa's Way, or other names-- Angessa Martei has no strong opinion on the matter) is the state philosophy of Angessa's Pearl, and adherence is required for permanent residency. The Starlit Path focuses on radical self improvement of both the body and the mind, through asceticism, self-contemplation, and ordeals. While, like in the rest of the Almach Rim, cybernetic body and brain augmentation is fairly common, on Angessa's Pearl augmentations are only made available to those who have proven their worth-- that the augmentations might be a ladder, not a crutch. Angessa Martei herself is one of the most heavily augmented humans in SolGov space. The capital city of Angessa's Pearl, Skylight is a huge series of twisting beehive warrens. Navigating Skylight is generally regarded as a deliberate challenge to one's sense of direction and spatial reasoning. At the center of Skylight is the original colony ship, now converted into the residence of the Exalt. Melt is a deliberately uncomfortable place to live. It is cheaply maintained, sweltering, and sometimes septic. Rumors abound of a constant low-frequency hum, manufactured whispers, and simulated attacks by corporate hit squads. A pilgrimage to Melt is performed by many colonists, to show their mastery of their bodies and minds. It is said that only a Melt pilgrim can receive some of the Pearl's most high-quality and powerful cybernetic modifications, and every Exalt in history has spent extended periods of time here. A small community built around the second grave of Angessa Martei, who was one of the civilians killed in the 2557 Boiling Point- SolGov conflict. Angessa's Grave has quickly become instrumental in the mourning rites of the Angessians, much to the mild bemusement of Angessa Martei herself. Found on the opposite side of the Pearl from most settlements, Tsunami is the only place on the planet not controlled by the Exalt's theocracy. It gets by smuggling illicit indulgences to government officials and other high-ranking people, and is unique in that the average age of its citizens is only about 23-- mostly runaway adolescents who disagree with the state religion. 2499: Discovered, mapped, and claimed for SolGov by a small exploratory vessel. 2503: Due to its obscurity, scarcity of minerals, and out-of-the-way position, Angessa Martei choses the world for her retreat from the world. Several devotees pool funds to acquire a colony ship from Shelf. 2504: Skylight is formed. It possesses a state-of-the-art bioprinting facility, several artificial wombs, and a variety of general-purpose manufacturing devices. 2506: The first vat-grown community children are decanted. 2508: War breaks out with the Moghes Hedgemony. Angessa's Pearl is relatively unaffected. 2510: First contact with the Tajara. Angessa Martei goes to prosthelytize, codifying the position of the Exalt to serve in her absence. 2513: Angessa returns with a passenger ship full of Tajaran converts. 2521: A noticeable uptick in human immigration comes at the heals of peace with the Unathi. 2524: The first community children reach maturity. Vat-grown production is at industrial levels. 2535: Angessa Martei is assassinated while proselytizing to the Unathi. She is cloned in Skylight, and relinquishes her role as the community leader during her convalescence. 2541: Angessa Martei returns to political life. 2546: Extensive modernizing of Angessian industry on the heels of relaxed EIO regulations. 2550: Boiling Point forms somewhere in the Almach Rim. 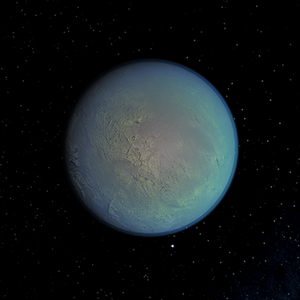 Angessa's Pearl is considered a likely point of origin. 2553: Angessa Martei attempts to proselytize to the Unathi once more, and returns with a small coterie of Unbound. 2557: Several high-level government officials are killed by SolGov ion weaponry after an attempted coup by Boiling Point. Angessa's Grave is created. Angessa Martei permanently retires. February 2562: Angessa's Pearl secedes from SolGov as part of the Gray Hour. This page was last edited on 2 February 2019, at 03:15.